5 Bedroom, 3 Full Bath home in Pheasant Ridge! Unit 5 Schools! This home offers many wonderful features including full finished basement with mini kitchen, large rooms, and fenced backyard. 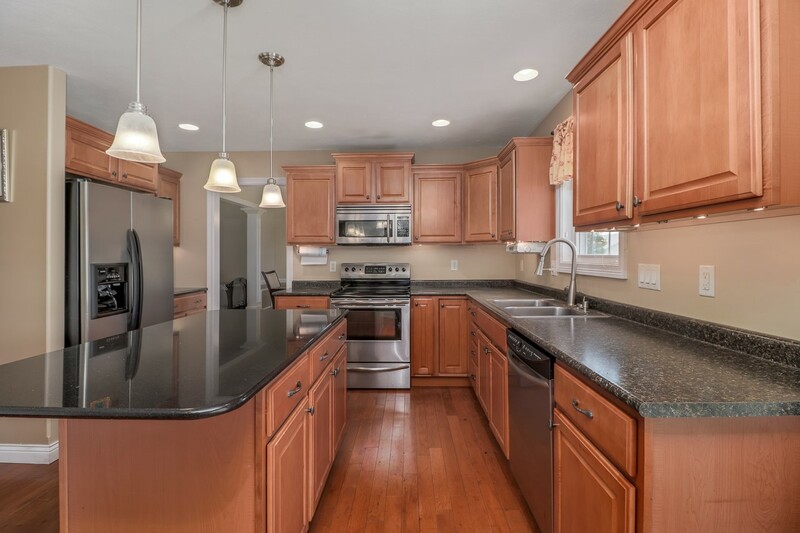 The Eat-in Kitchen has Maple Cabinets, Stainless Steel Appliances, Island with Granite top and breakfast bar seating. Home is also complete with Central Vac, whole house humidifier, Google Nest thermostat, and Cat 5 Smart Home Wiring. Fully finished basement with full bath and 5th bedroom, lots of space for second family room or entertainment center plus wet bar/mini kitchen. Master bedroom w/nice walk in closet, spacious bath w/ dual vanity, stand in shower and whirlpool tub. Spacious bedrooms. Large fenced backyard with Pergola and play set. 50 gallon water heater installed July 2017. New main floor carpet installed fall 2016.